We understand how traumatic it can be for those affected by flood and water damage and our dedicated claim managers make sure that you receive the very best care. 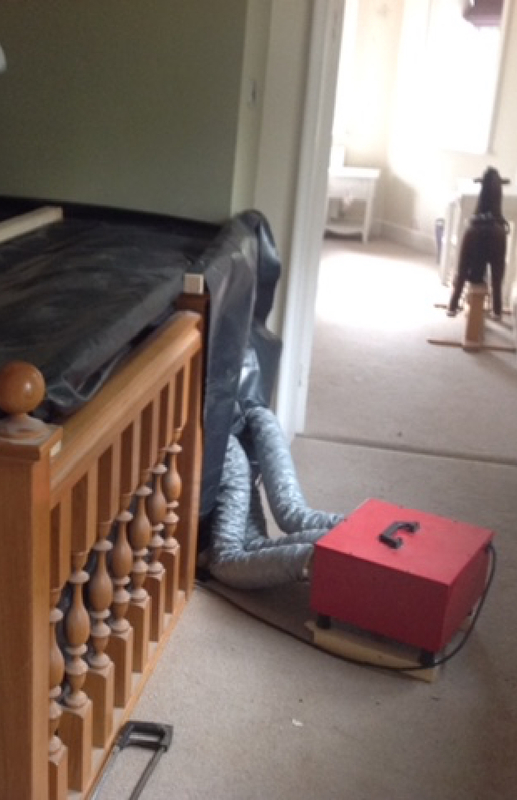 Our approach is to ensure the affected property is safe for all the family including any pets. We can advise about alternative accommodation if needed however, we will do everything in our power not to disrupt further your daily lives should you choose to stay in the property during the restoration period. Our highly skilled technicians use advanced drying techniques that will restore the damaged areas and will also serve to reduce the risk of secondary damage such as mould. 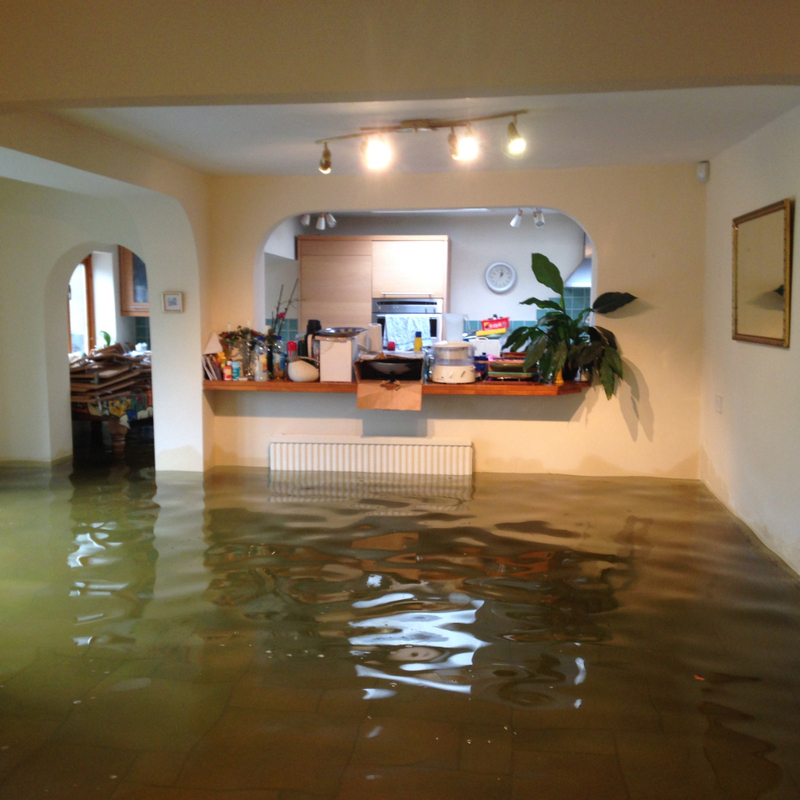 If your property has suffered water damage and would like an assessment, feel free to speak to one of our team today. We have a 24 hour emergency claim process and can provide estimations of the damage, any safety risks and likely timescales for the necessary works. We will do everything in our power to limit the disruption to the occupants’ lives and routines. Our technicians will do everything they can to limit secondary damage to your home. In the case of a flooded property, there is a chance that mould can affect your property and personal effects. When you experience a flood in your home, your first consideration must be safety. Water can seep through walls and cracks and make your electric system potentially unsafe. Have the system checked at the earliest opportunity by a Qualified Electrician. In the worst case scenario, the electrical system might require a ‘temporary electrical supply board’ to allow electrical functionality in the property. This would normally be installed close to the existing consumer unit. Sewage or drain water can contain contaminants which are harmful. If anybody living in the property has a low immune system, consider moving them temporarily to a safe location. If only a small area of the home is damaged, consider closing off and avoiding the area and reduce the possibility of cross-contamination to other areas of the house. Depending on the level of contamination, cleaning should be completed by professionals and the cleanliness confirmed with appropriate testing. Escaping water always takes the path of least resistance and will therefore travel into areas that might not be noticeable straight away. 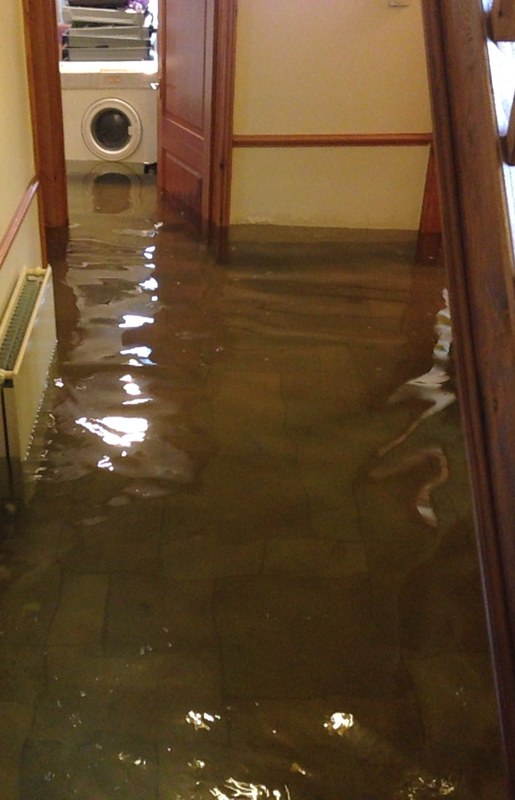 The cause of the leak or flood must be addressed and fixed prior to undertaking any restoration works. Soft furnishings such as carpets and sofas will absorb moisture and stay damp for a considerable amount of time. Therefore the removal of these items as quickly as possible after flooding is essential. If you are likely to submit an insurance claim, please check with the insurance company before taking any action such as removing furniture prematurely before a representative has attended your home, as failure to do so may cause problems with your claim. Our restoration service is professional, reliable and personal. Other services we offer also include Leak Detection Services, Damp Investigations, Fire Restoration and Specialist Drying. Damage from clean water is typically caused by burst or leaking pipework or if a tap has been left on inside the house, causing flooding. This classification can be caused by malfunctioning appliances such as washing machines or dishwashers. In some cases it can be caused by fish tanks. Grey water will have either micro-organisms, contaminants or detergents. Can pose a serious health threat and will have severe levels of contaminant that are often found in sewage water and river water. Classifications can change due to the amount of time that the water has resided in the property. If you would like more information regarding our Flood Restoration service please get in touch with our expert team today. Our priority will be to assess your home in line with health & safety requirements and to make sure that the area is safe for you. We will take a methodical approach and will look to minimize the extent of the damage to the property. Secondary damage such as mold can be a bi-product of water damage and we will take the appropriate actions to stop this from happening. Our technicians have an extensive range of drying equipment at their disposal and will take the most appropriate and effective methods to dry your property. All our efforts will be on making your home dry to the levels it was before the incident. All the decisions we make are based on minimizing the impact on you the occupant’s lives. We understand that a home suffering water damage can be stressful and hence is why we are committed to restoring the affected areas as quickly and discreetly as possible. Each deployment decision will include the materials affected, the living conditions of the insured and business continuity of the commercial outlet. Electrical power will also be considered with remote operations being utilised where required. All water damage claims that have undergone a drying regime will result in a formal Drying Report being issued that will detail the readings taken to confirm the pre-incident level of dryness has been achieved. We always learn the affected structure type, what and where is damaged, how it is used on a daily basis and how you can continue your everyday lives. Following this, we then look to undertake implement the above to uphold the desire for a speedy resolution. Reducing the trauma for you and your family with caring, professional staff. Minimising disruption to daily lives with an organised and logical approach.